Many have a passion towards home cinema and nothing beats projectors when talking about enjoying videos/movies at home. It’s often when people think about a projection system; one of the first things that instantly click in their mind is the giant white projection screen. Projectors have always played a dignified position in it. This projector screen has a good match in performance to those that cost seven times as much. It’s also easy to install and set-up. The screen of this provides an exceptionally wide viewing angle and a 1.1 gain at 160 degrees with no loss in resolution. The 23/8’’ heavy duty bevelled frame made of aluminium wrapped in black-velvet light absorbing material for an elegant crisp viewing. 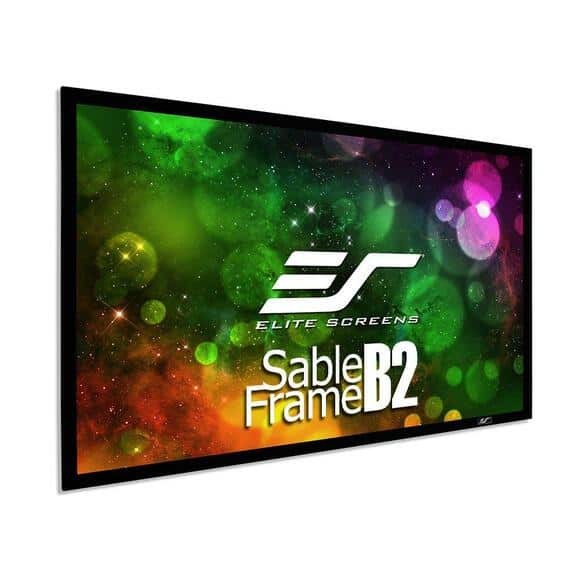 The Elite Screens ezFrame offers a total 135 inches viewing space at 16:9 ratios, which provides a marvellous viewing experience for any kind of multimedia. 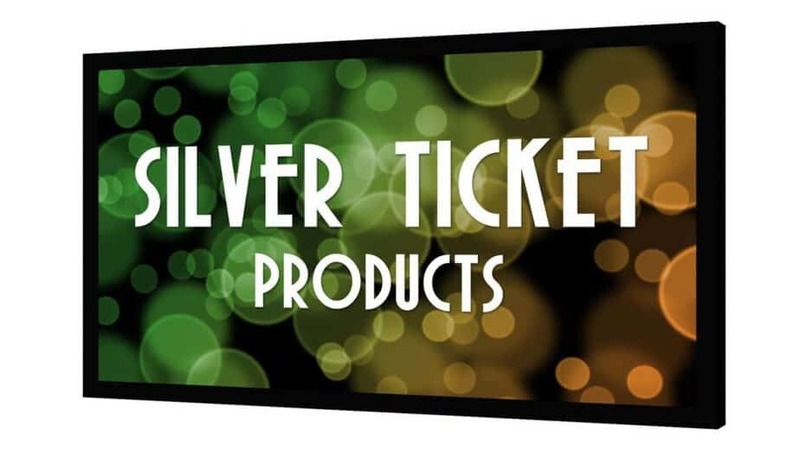 As coming from one of the top manufacturers of projector screens, Elite screen proposes a display both suitable for HD and 4K active 3D projection. The material of Acoustic Pro 1080 P3 is an acoustically clear screen material offering a full 160 degree angle of viewing. The picture quality is phenomenal having both rear-speaker and hidden speaker set-up. 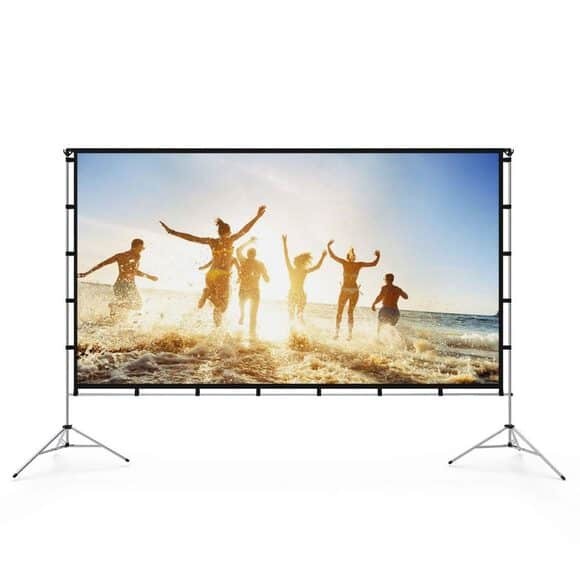 For those who are looking for a budgeted projector screen the 119-inch Best Choice manual projector screen is the one for them. Opting for a 1:1 ratio this projector has a very usable area for viewing videos, pictures, and movies. It’s ideal for educational, business, and residential purpose. The anti-acid and anti-static build quality is both dust resistant and mildew. For a big viewing screen on a limited space, the Elite Screen’s Frame B2 of 92’’ 16:9 frame is the best fit. It gives a total of 49.1 inches high viewing space of 80.2’’ wide. The B2 serves both 4K Ultra HD and 4K video quality having aplomb. The viewing angle screen of 160-degree can be easily set-up with a spring system and tensioned rod, which can easily be fixed to a wall with hardware included in it. B2 comes with an entire black back surface for eliminating any light penetration. The projector screen by Visual Apex comes too close in offering almost a perfect design. 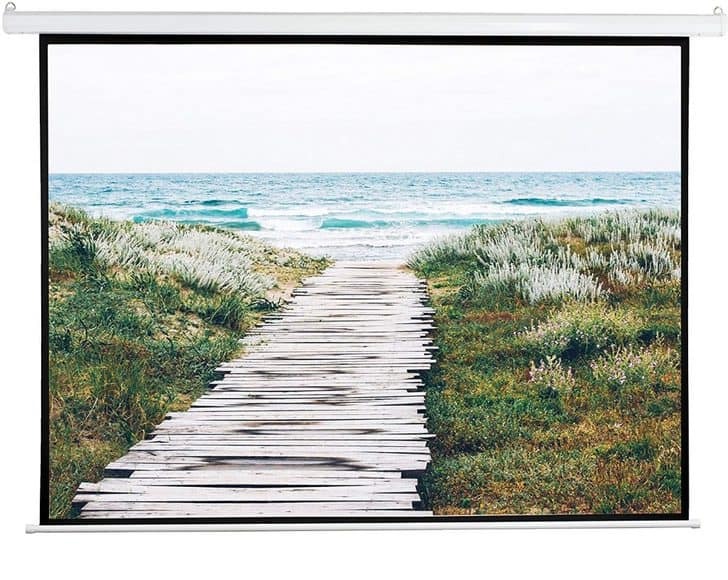 The 144HD Projector Screen comes with a 144 inch display with a 16:9 viewing format. This fast-fold one piece pairs up with a 133’’ wide and 104.5 inch high display viewing space. It has additional hanging garometers for installing on ceiling. The screen is UV protected, washable, and mildew resistant. This product is inexpensive but that doesn’t mean it’s less worth it. 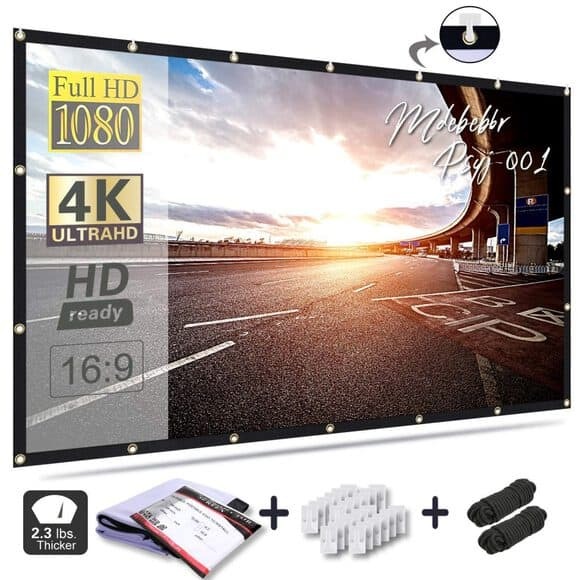 The 100-inch electric projector screen is just the perfect blend between an outstanding quality and wallet friendly item. 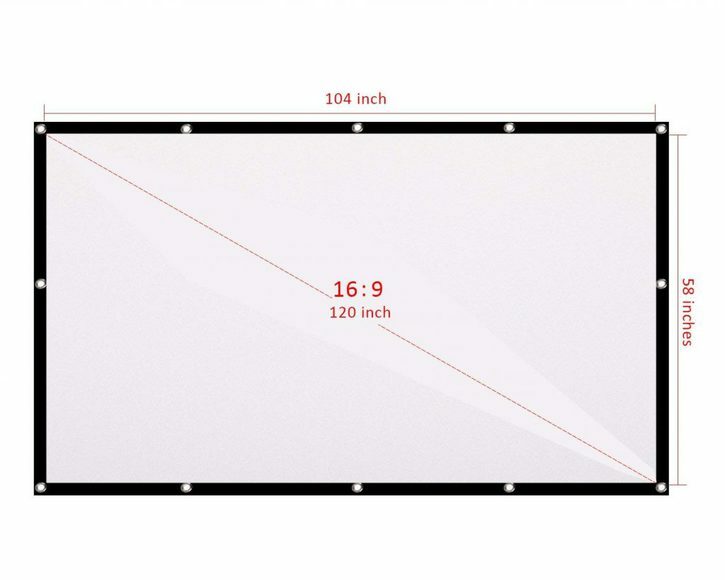 The 80’’ wide, 60’’ high projector screen has 4:3 viewing area. The durable metal casing is ideal for both ceiling and wall installation. The Vivo being a moyorized projector screen comes with an easy-to-adjust electronic motor with a remote controlled up and down motion. 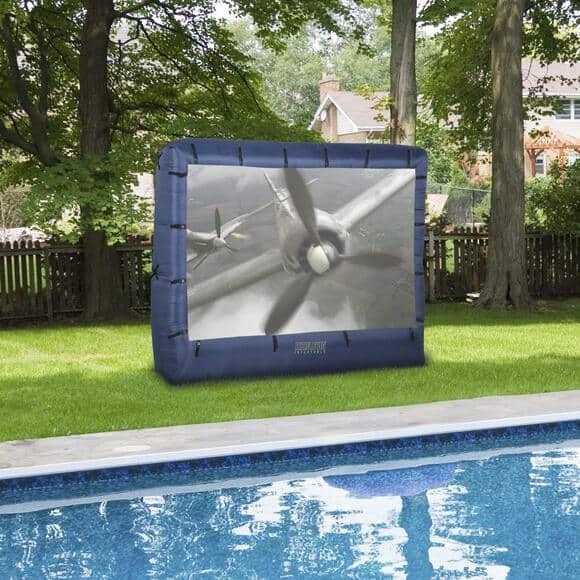 The 123×77-inch Airblown inflatable projector screen will certainly be a hit during those summer packed parties. The 160 degree viewing angle and the design works both vertically and horizontally, where one can enjoy with almost the entire neighbourhood or with the whole family. 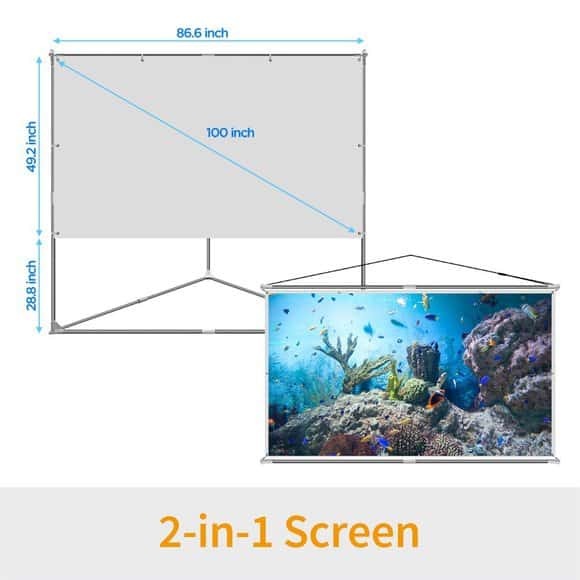 The 16:9 HD Anti-crease foldable and portable Projector screen supports both indoor and outdoor theatres with a double sided projection. It can be folded to a small size fitting easily into a suitcase for carrying. The high absorbance and anti-crease material made with polyester fabric is brighter than any other projection screen. It gives no wrinkle when folded and the screen is very smooth. This projector screen is easy to install. The 120’’ with a 16:9 screen format gives a 104’’x 58-inch viewing space. It comes with a front and rear projection that’s ideal for home theatres, classroom training, movies, and conference presentations. 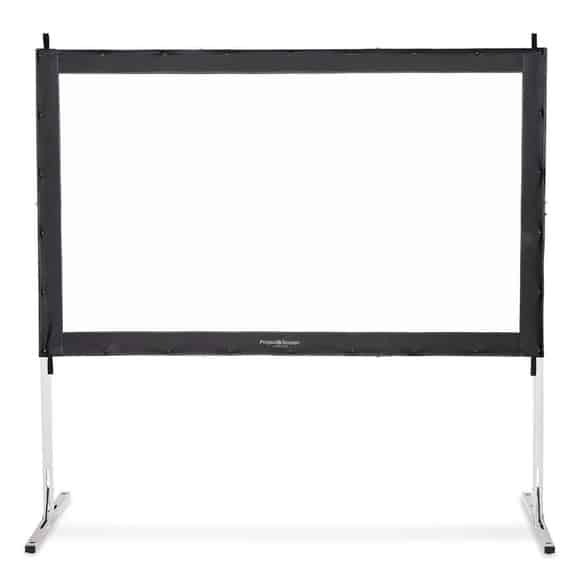 The diagonal 300-inch with a 16:9 screen proposes 262-3/5-inch x 148-2/5-inch viewing area. 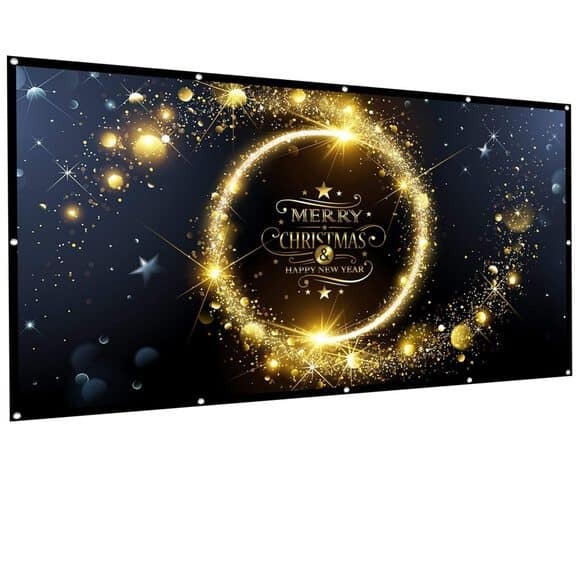 This projector screen has thicker canvas, and better workmanship. It’s a soft white canvas having a 1.4 gain coming with a lifetime warranty. 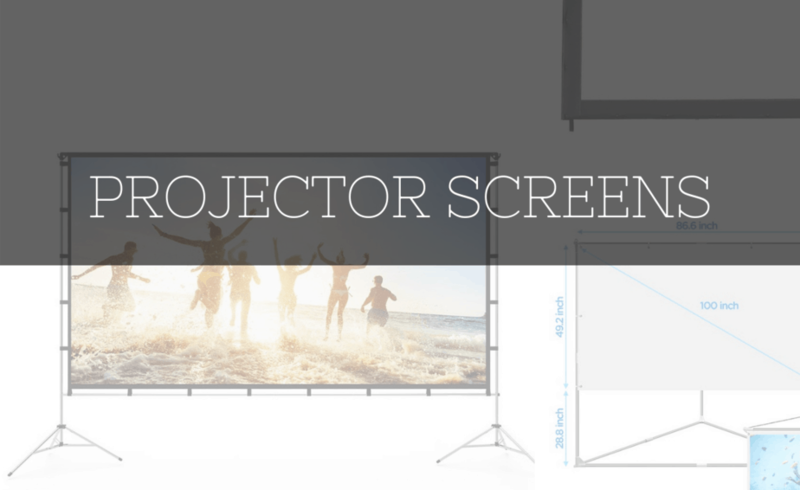 This projection screen is compact, light-weight and convenient for carrying. The high-absorbent and anti-crease material is made of polyester fabric. 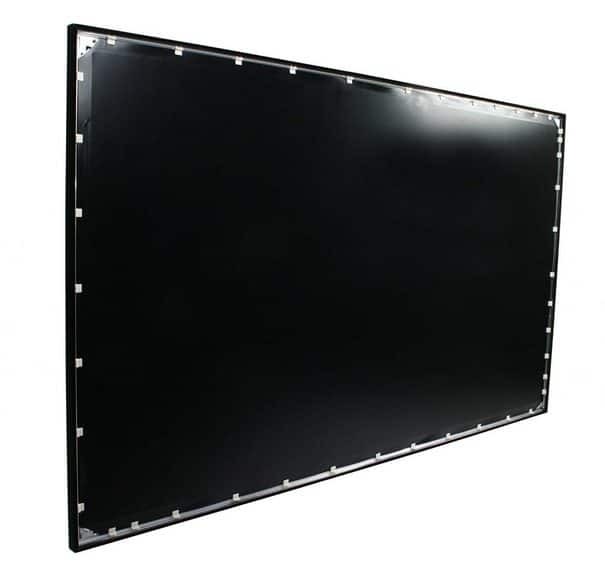 The 100’’ diagonal projector screen offers 87’’ x 50’’ viewing area. 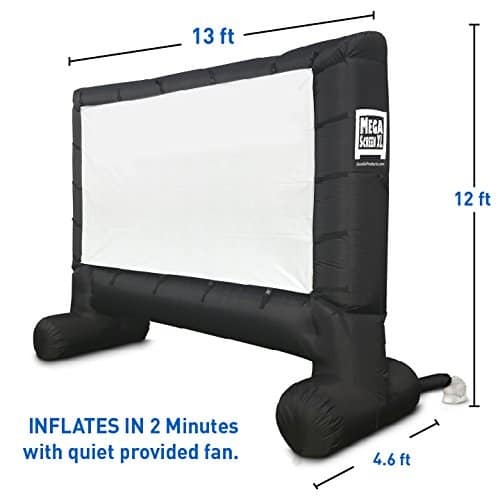 The mega 17 feet inflatable projection screen is easy to set-up that takes only less than 2 minutes. Besides it comes with a manual guide for easy installation. The wonderful new whit display with detachable screen and the inflation fan perfectly blend together. It also includes rope, air blower, inflatable stakes, and tent. 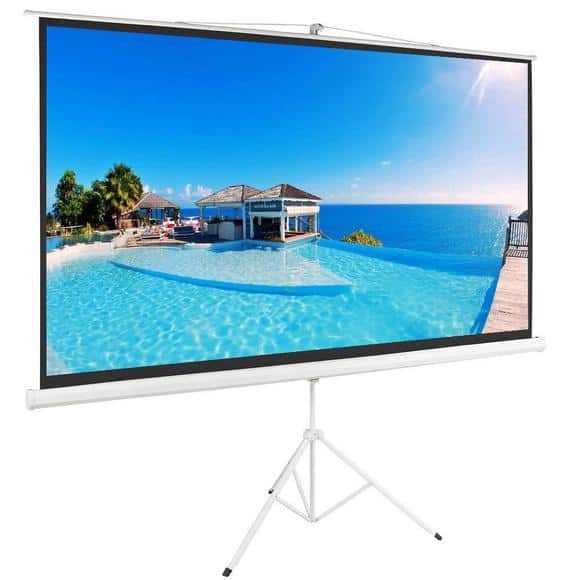 The brand new 2-in-1 projector screen is ideal for indoors and outdoors. The standing style makes it ultimate with its “Triangle base” that’s made of aluminium poles. The hanging facility represents its simplicity that needs one single nail to install. The 4-Hook tech provides instant wrinkle-free viewing screen serving the best viewing quality. The black furnished back screen gives crystal clear colours. The easy to set-up both outdoor and indoor projector screen is lightweight and foldable as well. The latest version of it has even bigger screen with enhanced stability. It’s lightweight and foldable. It offers high playback quality projection screen made of 94% polyester and 6% polyurethane fibre. 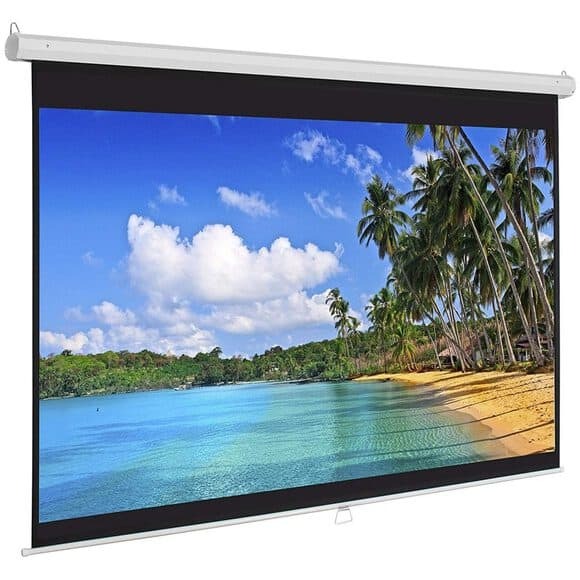 The durable, wrinkle free, matte white projector screen is perfect for watching movies and videos. The high gain 1.3 projector screen absorbs any overshot light giving perfect visual effect. For all the home theatre enthusiasts “4 K HDR” content is over enough, but in order to enjoy actual thrill in a wider screen one needs to invest in the projector screen. So investing on a good projector screen is important. Which is why this content will absolutely serve that purpose of choosing the best out of the rest.